I think they look good. But as the season goes along, I believe you will be seeing Morristown West moving closer to the top. Their record might not show it right now, but Mo. West is a better team than #30. On A-AA I think the order is decent in terms of which teams are the best in each part of the state, HOWEVER, as with last year I think that you are over ranking the teams from west tennessee. Westview, USJ, Madison and Northside are not top 10 teams. The representatives from A-AA west tenn. have been routinely trounced at the state tournament. Due to the lack of games played between teams in middle and west tn. I would think that by default the A-AA teams of middle tn. like FRA, MLK, HF, CPA, Station Camp should get the benefit of the doubt over the west tenn. teams. While I know that MJUHB has alot of contacts I still can't see that You rank opponents higher than the current State Champion and in this case you have CAK at 3rd in the A/AA and Farragut 3rd in AAA????. Until one of them is beat they need to be the top ranking. I can't understand after 2 or 3 games for everyone, MJUHB, you see anyone above them until someone actually beats them? Using the logic I see being used here CBHS should be above Baylor but they are not and actually having seem them both play I think CBHS is the better team. Time will tell but your rankings are 1 person based on your own feelings because really you cannot have any true logic since the better teams have not played AND We are only 2 or 3 games into the season. Maybe you wanted to put something up for discussion but the old adage should still apply " Your still the champ until someone beats you". The powers in the State have come out of East Tennessee so long it is hard to doubt them but the shift to the West maybe this Year!! 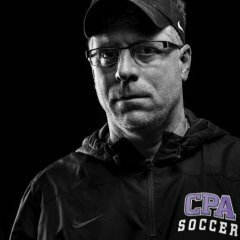 Hey, I agree with on the pitch....if you want to legitimize your rankings, Your the Champ until someone Beats you and Right Now...... Farragut And CAK are the Champs. I actually agree and disagree with you (which is somewhat ironic because I am one of those teams). I would agree that CAK and Farragut are the champs and will be until someone beats them, but that does not mean that they get an automatic #1 ranking. I think the season rankings should be about the current team, and not last season's team. Until those teams prove themselves to deserve #1, then they shouldn't be there, regardless of how good they did last season. Now saying that, I don't always agree with MJUHB's rankings, but I find them entertaining, which is what I think they are there for. I think the season rankings should be about the current team, and not last season's team. Until those teams prove themselves to deserve #1, then they shouldn't be there, regardless of how good they did last season. Granted you are in a better position to judge than I am since you are the (coach?) of CAK, But how can anyone be placed above you until they beat you or you lose toany another team.....How can anyone judge the strength of teams until there has been more Head to Head Matches? At this point I stick with the original thought , you are #1 until someone beats you OR until someone gives a reason (such as a team maintained all their players off of last years great team and the State Champion didn't.) In the case of you and Farragut that is not true noone beat you that returned all their players and really NOONe returned everyone. Ha ha! I figured you weren't! But I think you and I have agreed to disagree with a lot of things, and actually found some common ground on some others! Gameball, I guess I just don't take the polls as seriously as some others (ah hum... MVM? /tongue.gif" style="vertical-align:middle" emoid=":P" border="0" alt="tongue.gif" /> ) but my point was that in my opinion, a good poll doesn't rate the current season based on the last year's results. Yes, it should come into play, but knowing what a team lost (graduation and such) and what a team brought in (freshmen and transfers) should be part of it. I personally think Farragut is as strong as they were last season, if not stronger, because they have a great team and super depth. CAK graduated 6 starters (and Brandon is pursuing his professional bowling career) so we aren't ranked as high. I don't mind that... I think it is a fair assessment. We have yet to prove our worth at any level, let alone 1st. Are we the defending champions? Yes, and we will be until we lose, but I don't want to be given a spot this year based on what my boys did last year. This team needs to make their own legacy. I hope it will be to win again, but if not, I will not judge my success based on a ranking or a trophy. But all of this is just my philosophy. Doesn't mean that it is right. I don't really disagree with you, per se, just trying to look at it from a wider perspective. I didn't mean to offend, if that was how you took it. Good luck at the SC tournament!